Should I add gift aid to my donation? By adding Gift Aid, the DRF can claim an extra 25% at no cost to you. Please fill in our donation form. After submitting this form you will be taken to a page where you can input your credit card details securely. After clicking the 'submit' button below, please wait and you will be taken to the payment system. Please click 'DONATE WITH CARD' to use a credit or debit card. If you want to use your paypal account, click 'Donate'. Please scroll down to read further terms and conditions. You can cancel your Gift Aid declaration at any time by notifying the Duchenne Research Fund here. Please notify the Duchenne Research Fund if you change your name or home address or if you no longer pay sufficient tax on your income and/or capital gains. 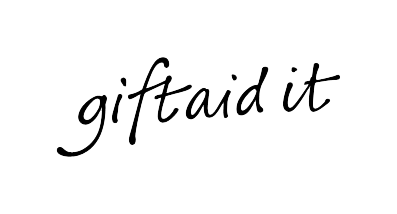 If you pay Income Tax at the higher or additional rate and want to receive the additional tax relief due to you, you must include all your Gift Aid donations on your Self-Assessment tax return or ask HM Revenue and Customs to adjust your tax code.